It’s harvest season at Pepperhead Ed’s garden! I have had my hands in the soil for 20 years, growing and eating from the garden. Picking summertime delights like vine-ripe tomatoes…you know…the ones that make those beautiful BLT’s, or hand-picked and served on a platter with fresh basil, purple onion, mozzarella, and a little balsamic vinegar, a dash of truffle oil, and finished with sea salt and fresh ground pepper … does not get much better! When I start to fire roast those chilies, onions, and tomatillos, the flavors just rise to the surface and become tasty ingredients for fun dishes. 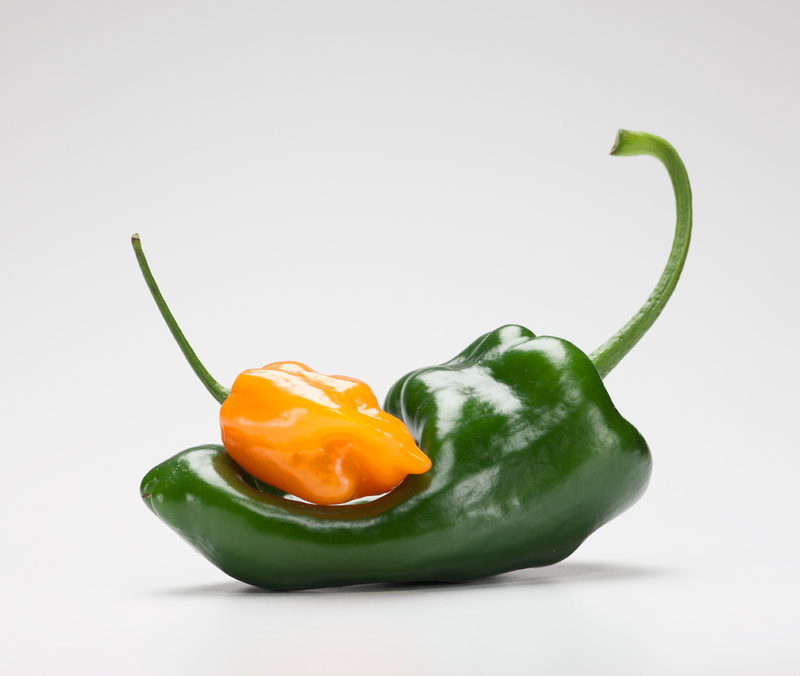 Pepperhead Ed’s famed Habanero is still on the list to make next month, so stand by! Now, back to chilies. I started out taking simple illustration shots of Mother Nature’s products from my garden. This was my first look at chili peppers as an art form. I thought it would be a nice break from the demands of shooting Architectural work and our sick economy. It’s nice to finally get back into shooting something personal, which my creative soul has missed. 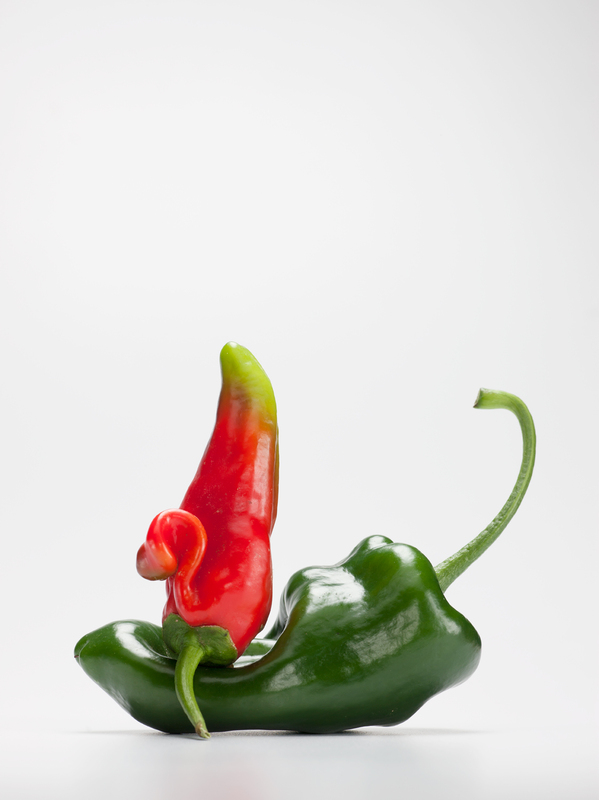 At first I started out looking at individual peppers, their shapes, forms and colors. 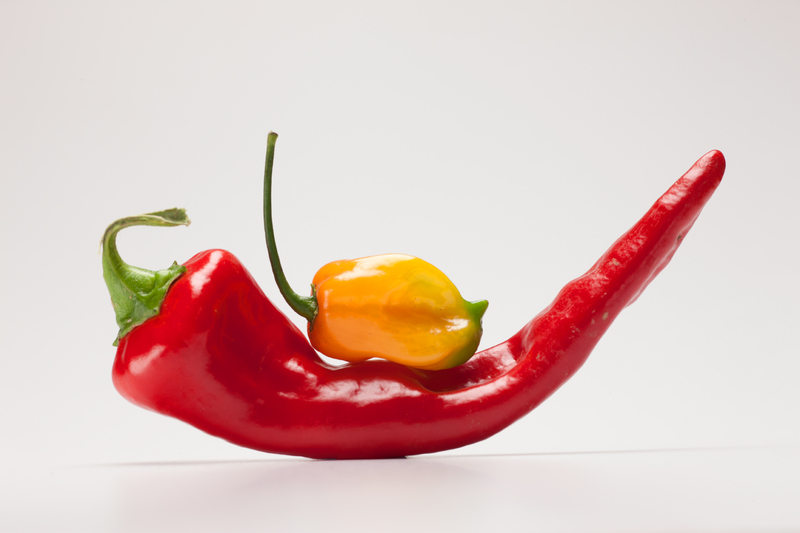 This quickly evolved into exotic and sexual interpretations of chilies – certainly a new twist to how people look at chili peppers! 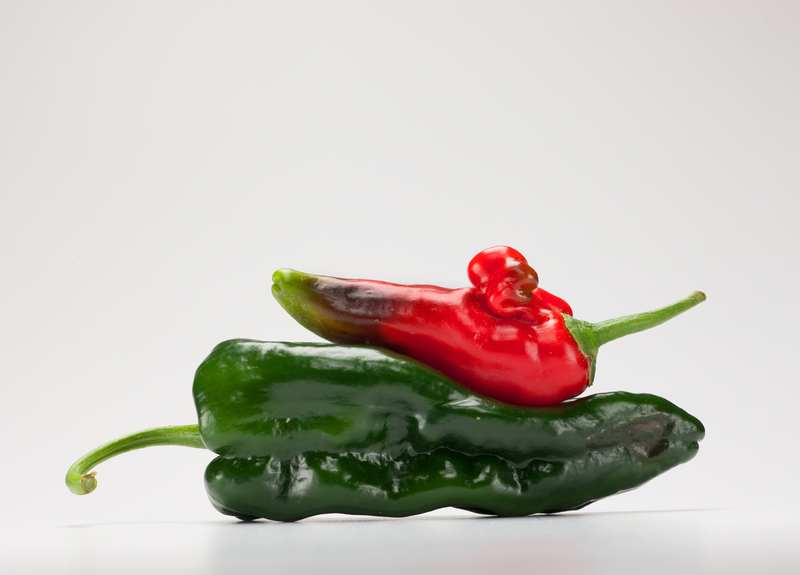 I even started to use old dried chilies and pair them with young fresh chilies …wow, I must be out there! 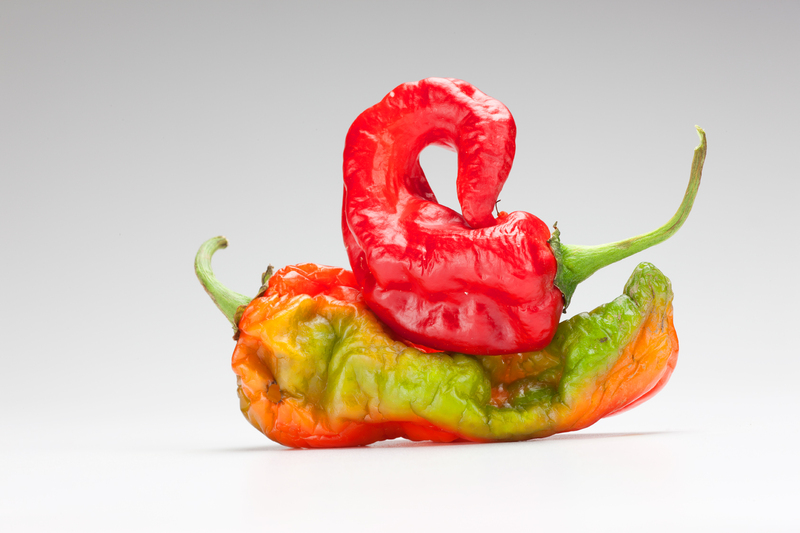 Now I walk out in the garden, not for picking chilies to make fresh salsa or fire roast peppers for fine dining, but to search for weird peppers for my photo illustrations. Wow, too much fun. As we all go through life and our life experiences, I take from this fun creative photo shoot that nothing is perfect in life. If you look at all of these chilies there is not one perfect chili. I’m not trying to compare chilies to humans (or am I? )… the bottom line is that nothing and no one is perfect. Well, this was fun but it’s probably time that I get back to work and make some money to buy seeds for next year. My plan is to bring these illustrations to market and a coffee table book is in the works. 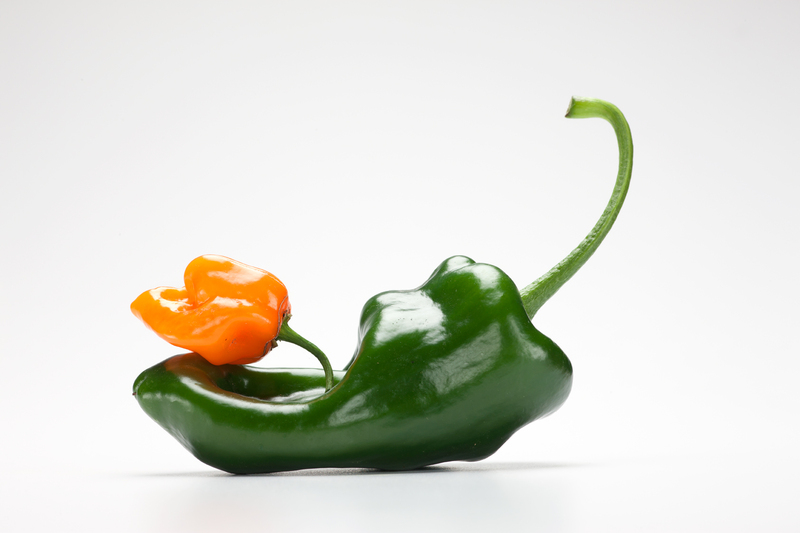 I think I’ve just scratched the surface – hope you enjoyed this new look at peppers!